Product titles carry plenty of weight in ecommerce. Titles drive discoverability for the shopper and influence Amazon’s algorithm as it determines search relevance. Now, with the advent of voice commerce, titles are often the only product information a shopper hears before deciding whether to make a purchase. According to Cleveland Research’s 2017 Path to Purchase Survey, one in four U.S. households already owns a voice-enabled assistant like Amazon Echo and about one-third report purchasing products with their device. Additionally, 60% of device owners say they expect to buy more using their Echo within the next year, according to the survey. To make the most of this voice shopping boom, brands should revisit product titles. If a title sounds confusing when read by Alexa, a shopper may abandon the sale. Content26 recently tested products on an Echo to better understand how to optimize titles for voice. This product title was simplified for Alexa. To initiate a purchase, shoppers can ask Alexa about her daily deals or request that she search for a product. In response, Alexa will recite a product’s title and price and ask if they would like to buy it. At this point, shoppers must say “yes” or “no” to the sale or ask Alexa to “tell me more.” The urgency of this decision underscores the importance of easy-to-understand product titles. For many of the bestselling products and daily deals, Amazon has rewritten titles and feature bullets to sound better when read aloud. 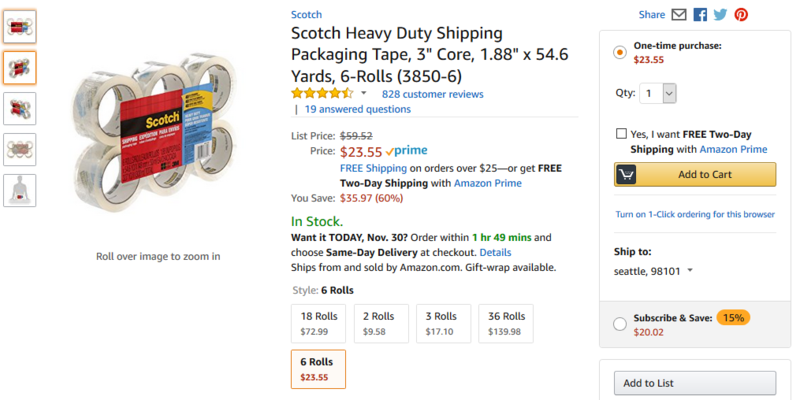 Take Scotch packaging tape, for example. Its online title follows Amazon best practice for title formatting and naming conventions. But Amazon has rewritten the title for Alexa, choosing to share only essential details. How common is it for Amazon to change product titles? Of the 20 best-selling consumer goods product titles we tested, more than half were reworked. To our knowledge, Amazon is not working with large consumer goods vendors to create and approve modified product titles, although we expect that to change as voice takes on a more central role in brands’ Amazon content strategies. Nonetheless, our testing revealed some consistent themes when it comes to optimizing titles for voice. Amazon Seller Support has said the ideal length for product titles is around 80 characters. But the average length of the Amazon-authored Alexa titles was 50 words or about 5 seconds. In titles that were not reworked, Alexa read the title verbatim and often stopped after about 80 characters. Titles were even shorter on Amazon Echo Show screens. In our test, the longest title she read was for a portable DVD player. At 112 characters, Alexa read for over 11 seconds. This title is 132 characters, much longer than what Amazon recommends. Alexa’s delivery was noticeably quicker when she read this long description, requiring the shopper to listen very closely. Brands selling complicated products that require long titles could consider putting commas before model numbers and other detailed information. When Alexa shortened the titles she was reading verbatim, she nearly always stopped at a comma toward the end of the title. Sometimes, brands opt not to include the brand name in the product title because customers can easily spot it in the small blue text above or beside the title. That is a mistake. 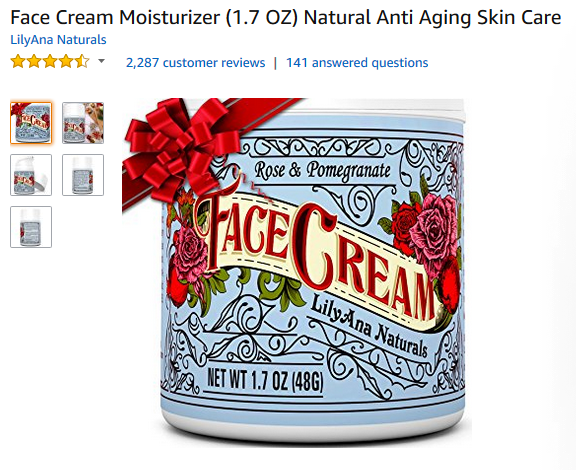 Face cream shoppers who hear this description would likely wonder what brand of anti-aging cream they’re being offered. Without this information, they may be tempted to simply say they would not like to buy it. Product titles are the gateway for all purchases on Amazon Echo. Brands should revisit their titles to ensure they are clear and easily understandable when read by Alexa.